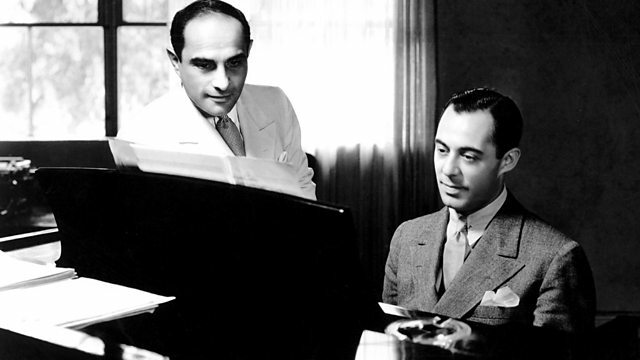 Lorenz Hart (left) and Richard Rogers. Musicals Tonight! is currently presenting a distinctive revival of the Broadway classic The Boys From Syracuse. The musical, which premiered in 1938, was created by three pillars of the American theatre establishment – Richard Rodgers (music) , Lorenz Hart (lyrics) and George Abbott (libretto). The work is a musical adaption of Shakespeare’s The Comedy of Errors. The basic premise of The Boys from Syracuse revolves around two sets of identical twins who were separated at an early age – Antipholus and Dromio from Syracuse, and Antipholus and Dromio from Ephesus. When the twins from Syracuse (hence the title) descend on Ephesus, shenanigans from mistaken identity ensue. The cast in this production is exclusively male with the exception of Madeline Hamlet who plays the not large but critical role of the Seeress/Emilia as well as Fatima. All of the other major female parts are played by men. The idea is not as radical as it sounds as during Shakespeare’s day all of the roles would of course have been played by males. With all of the cross-dressing, however, the production isn’t shy about venturing into various levels of camp. One of the strengths of the show is that the two Dromios actually look like they could be twins, which is not surprising since apparently they actually are - Ian Fairlee (Dromio of Ephesus) and Matthew Fairlee (Dromio of Syracuse). The brothers are part of a large, consistently strong and talented ensemble. It cannot have been easy to transfer an intricate musical which originally played in a major Broadway house to the much smaller Lion Theatre. The production team of Ethan Steimel (lighting) Joshua Warner (scenic design) and Hope Salvan (costume designer) have created a colorful and convincing production design. The lively band – Cupid & the Arrows – sits on a second level above the stage. Jonathan Cerullo directed, while his spirited choreography contributes to an at times vaudeville atmosphere. I overheard a critic sitting near me say that she had seen this musical “a million times.” This was my first encounter with the work and this production has a definite creative slant. For those open to its parameters it can be quite entertaining. Immediately after seeing a performance on a Saturday matinee I took a stroll through Manhattan as a snow storm started to descend. The contrast between the colorful, almost carnival-like atmosphere of this production with the grey weather outside was stark. This show would be a successful choice for those seeking a couple of hours of kaleidoscopic diversion. The Boys From Syracuse is performing from February 13 through the 25th at the Lion Theatre in Theatre Row located at 410 West 42nd Street in Manhattan. The next production of Musicals Tonight! will be Cole Porter’s classic Anything Goes (February 27-March 11) .